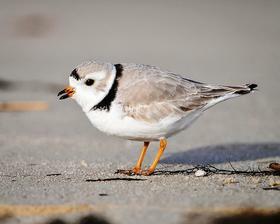 LANSING — A new predator has emerged for piping plovers in the Great Lakes. Naina Rao reports for Inetrlochen Public Radio. LANSING — Renovation started this summer on a multi-year and multi-million dollar project to restore a Great Lakes icon and, for the first time, open its doors to the public. White Shoal Lighthouse is offshore 20 miles west of the Mackinac Bridge.